"One stop for all your holiday shopping! 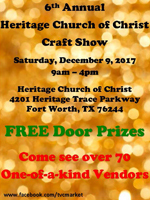 Come browse a wide range of vendors offering awesome gift ideas at this indoor event. Handcrafted home décor, jewelry, art, crafts, clothing, delicious baked goods and so much more! Find gifts for the entire family! Don't miss your chance at winning the wonderful items in our free door prizes given away every 30 minutes." "24th Annual Tarleton Staff Council Holiday Showcase carries on the tradition of bringing unique gifts for all your Christmas Shopping needs to the beautiful Tarleton Campus located in Stephenville, TX. A family friendly event that supports the scholarship program for Staff Council provides one-stop shopping and holiday cheer for the whole community. Featuring a new location this year at the state of the art Rec Sports Facility we hope to bring some new traditions to life in 2017. " 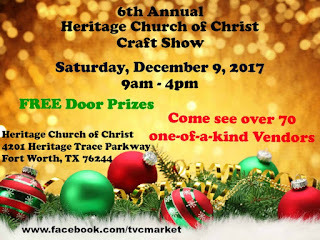 "Fossil Ridge High School Theatre Presents ""Home for the Holidays"" Craft Show and Holiday Market--Free Admission, Variety of Vendors, Concessions available, 2 performances of ""Home for the Holidays"" by FRHS Theatre during the day in the Fine Arts Center, Photos with Santa and Cookie Decorating with Mrs. Clause for the kids." "The Colony High School is having their first annual Holiday Gift Bazaar. It's FREE ADMISSION. Come and enjoy this event, bring your family and friends, and get all your holiday shopping done. Location: The Colony HS on Saturday December 9, 2017 from 9:00am-3:00pm. 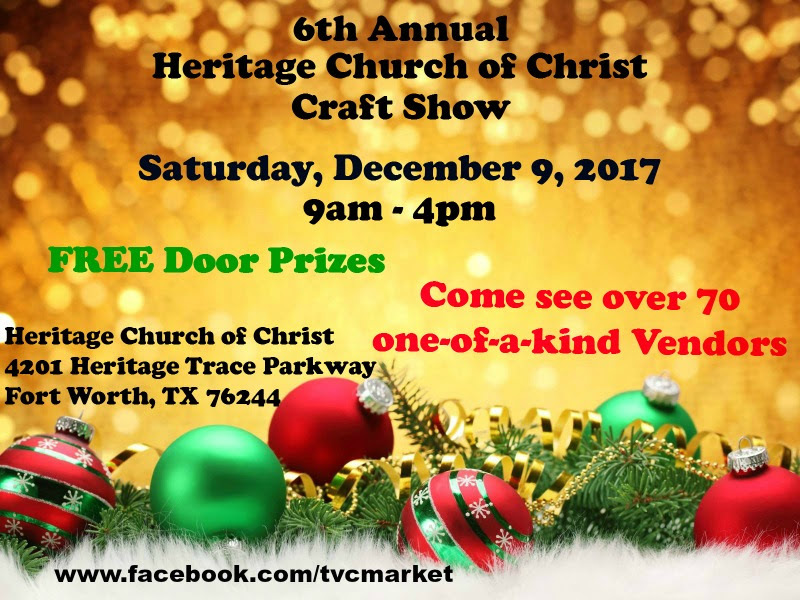 The gym will be filled with arts and crafts, gifts, retail, and raffle. Booths will be located in the small gym of the High School."